You Are Here: Home > What are the Volkswagen Atlas Technology Features? Volkswagen has answered the call for a three-row midsize SUV with the VW Atlas. With seating for seven and split-fold seats, the Volkswagen Atlas is well equipped. Packed with style and sophisticated design, the Volkswagen Atlas has the technology Chicago and Evanston drivers are looking for. Read more about the Volkswagen Atlas technology features, then visit Jennings VW in Glenview for a test drive. DigitalCockpit – Available on the top-of-the-line SEL Premium trim, this 12.3-inch display sets all pertinent information at your fingertips with a digital high-resolution display. Driver Personalization – The Atlas stores up to four driver profiles, remembering a variety of settings and systems. 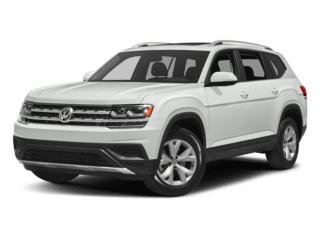 Volkswagen Car-Net – The VW Atlas is equipped with Volkswagen Car-Net Security and Service, which can help you locate your car, check to see if you locked the doors, call for help in an emergency, and receive vehicle diagnostic reports. App-Connect – App-Connect works with your compatible smartphone to display select apps on your Volkswagen touchscreen display. Adaptive Cruise Control: This feature uses sensors to maintain a preset distance from the car in front of you and adjusts your speed as they speed up or slow down. Lane Keeping Assist: Detects if you start to drift from your lane without a turn signal and helps steer you back into the correct lane. Automatic Emergency Braking: Included with Front Assist, radar is used to alert you if a pedestrian is in your forward path and will automatically apply the brakes if the driver does not respond to audible and visual warnings. Contact Jennings Volkswagen to learn more about the Volkswagen Atlas or visit our showroom at 201 Waukegan Road in Glenview for a test drive today!